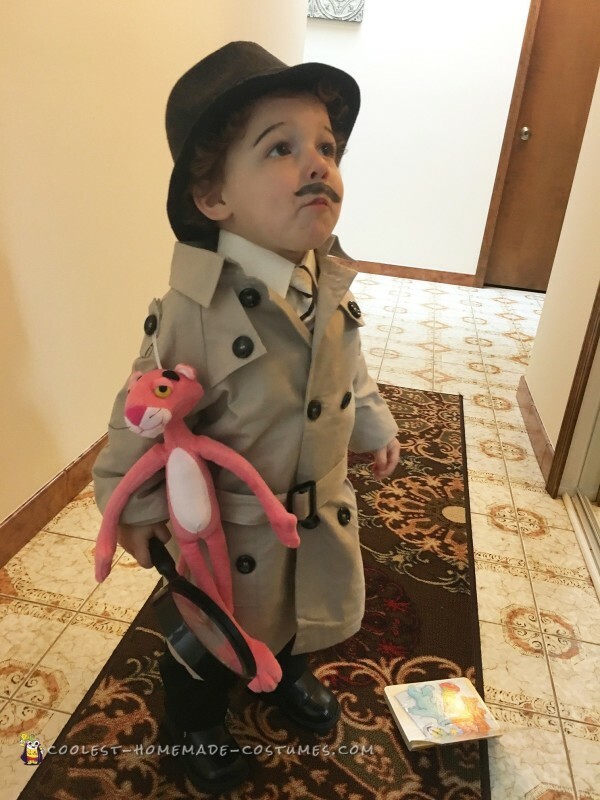 My 19-month-old Wes stars as Inspector Jacques Clouseau from The Pink Panther. This costume idea actually took shape in fall 2015 when I put a bucket hat and fake mustache on, then-8-month-old, Wes. 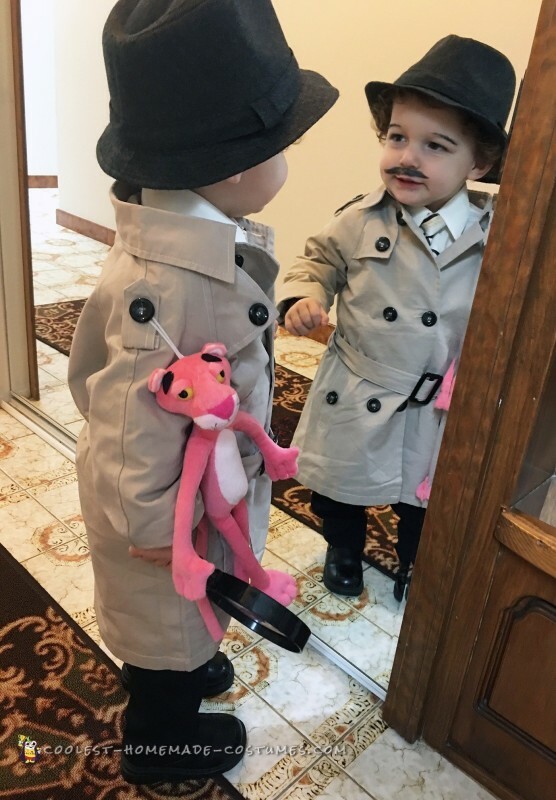 He looked exactly like Inspector Clouseau from ‘The Pink Panther’ series. It didn’t take long to piece together the shirt/tie/pants, trench coat, hat, magnifying glass, and Pink Panther stuffy. He was surprisingly patient for the mustache and eyebrow application. Not quite as patient for the picture. He didn’t want to hold on to both the magnifying glass and the stuffy, so I looped the stuffy on one of his buttons. Most people knew who he was even without the Pink Panther stuffy, which was good! And most people were surprised that a toddler would let me dress him up in all those pieces and paint a mustache/eyebrows on him.